Wilson Co DART is an all volunteer organization which falls under the Wilson County Emergency Management Agency. The Team meets monthly, at WEMA Training Center, providing the training needed for the volunteers to be an effectual response team for animals in disaster situations. WC DART has responded to local flooding and tornadoes in Macon Co.,TN and has assisted animal controls when overwhelmed with an incresed intake. The Team has assisted the local EMA with animal rescue and recently responded to the Gatlinburg wildfires, November 2016. The Humane Society of the United States (HSUS) requested WC DART assist with disaster response to Hurricane Harvey in Rockport Texas, September 2017. The Team participates in events in Wilson County. BARK IN the PARK, a benefit supporting New Leash on Life, the local shelter , The Annual Dog Wash and Photos with Santa at Tractor Supply Co., Lebanon Tn. 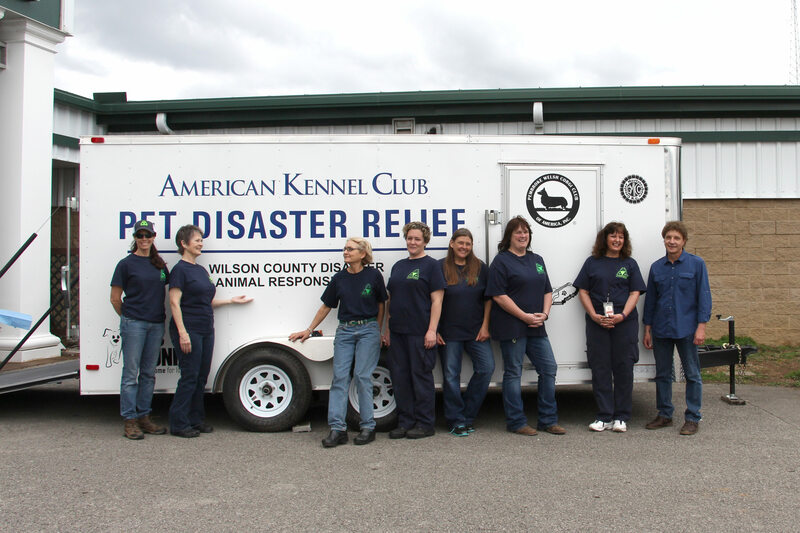 The team also participates in at least 2 AKC events annually, to fulfill a grant obligation and express appreciation for our Disaster Response Trailer! DART teams began forming after Hurricane Andrew hit the state of Florida in 1992, it was a Catagory 5 Hurricane, the worst of its time, with recorded wind speeds of 175 mph as it hit the Bahamas and South Florida. It wasn’t until Katrina struck the Gulf Shores did DART Teams become organized under the Incident Command System (ICS). After Hurricane Katrina hit the gulf shores in 2005, and the failing levees in New Orleans called for mandatory evacuation of the local population. As residents prepared for departure, they thought they would only be gone for a couple days, leaving their pets behind…Those that attempted to take their pets were told the pets could not go along. By not providing for people’s animals….put people in danger as they attempted to return through secure areas to rescue their pets. Many pets parished in the flooding and given the huge number of animals displaced from their owners, it was impossible to reunite them all. Failing to provide for animal response in a disaster directly threatens human health and safety. This reality led congress to pass the federal Pets Evacuation and Safety Act (PETS) of 2006, which requires states and communities to plan for the evacuation of animals as well as people during disasters in order to qualify for federal reimbursement from the Federal Emergency Management Agency (FEMA). In response to the PETS Act, the Wilson Co. 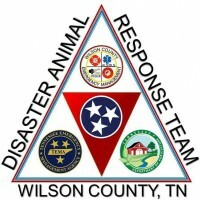 Disaster Animal Response Team came about in February 2007, under the Wilson Co Emergency Management Agency (WEMA).